This fall I bought a Snow Joe Snow Thrower. My father-in-law had given us a snow thrower of another brand several years ago and a couple of years ago a part broke on it that I was too lazy to replace. 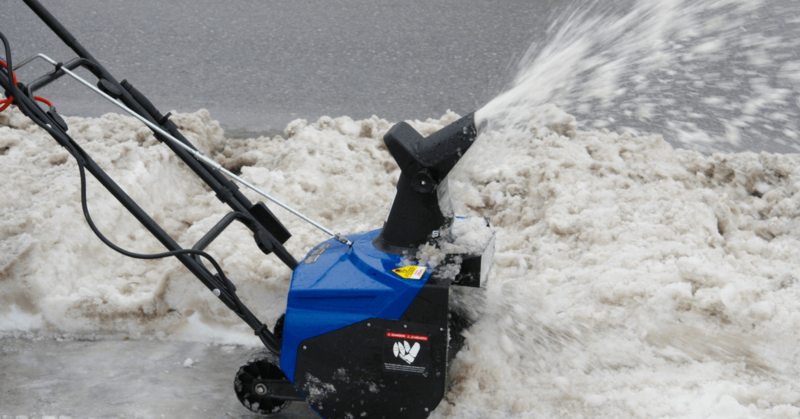 I had planned on getting that sorted out in advance of this winter, but then I saw this Snow Joe Ultra SJ623E 18-Inch 15-Amp Electric Snow Thrower on sale on Amazon and decided to get a new one instead. *I received a discounted windshield replacement from The Glassmobile in exchange for this post.